The Norwegian design studio Anderssen & Voll has been given the assignment to create the Design Bar. This time, the menu is being created in collaboration with Frida Ronge, Culinary Director at the restaurants Tak and UNN in Stockholm. The Design Bar, which is a mix between an exhibition and a top-class restaurant, and the stage for Stockholm Design & Architecture Talks share an area in Victoria Hall. Taking inspiration from Scandinavian atriums and Japanese aesthetics, Anderssen & Voll are designing a structure in pine that encircles an intimate courtyard. – We want to create a peaceful oasis, a calm, quiet place where we can absorb all of the impressions. 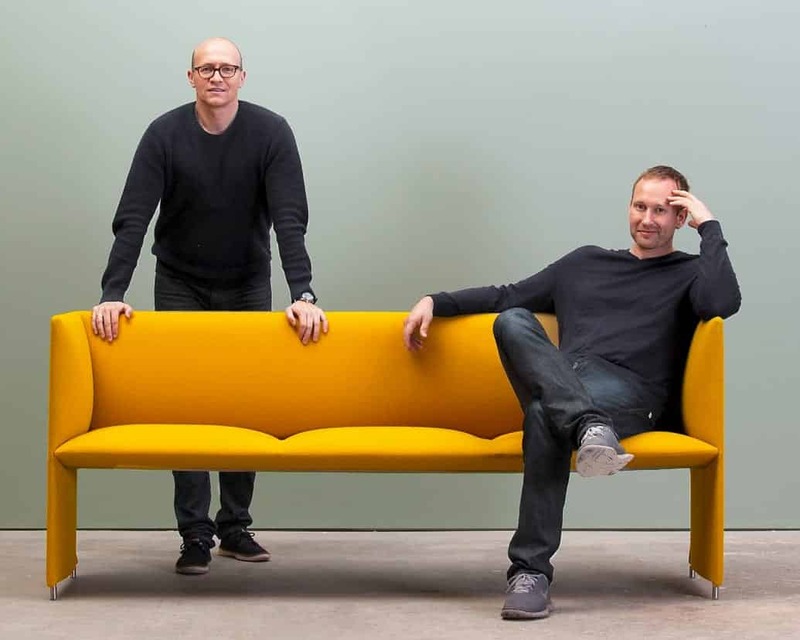 In the Design Bar we will also show some personal favorites of the furniture we designed and also introduce some brand new launches, says Torbjørn Anderssen och Espen Voll. Anderssen & Voll is an Oslo-based studio that consists of seven members headed by Torbjørn Anderssen and Espen Voll, who were previously members of the design group Norway Says. Anderssen & Voll was founded in 2009 and since then it has collaborated with leading brands such as Magis (I), Lapalma (I), Muuto (DK), &Tradition (DK), Kvadrat (DK), Swedese (S), Hem (S) and Ariake (JP). The Wallpaper Award, the Red Dot Award and the IF Award are only in a few in the series of awards that the design studio has been given. Frida Ronge is Culinary Director at Tak and UNN in Stockholm and is known for her modern Nordic cuisine with influences from Japan. She was recognized as the Rising Star of the Year by the White Guide in 2013 and received Karin Fransson’s Mentor Award in 2014 at the Chef of the Year event. “The menu will flirt with tastes and techniques from Japan. It will be based primarily on ingredients from the sea; for example, there will be sushi with fish from the northern Atlantic. It will also be possible to recognize the interaction between the design in the restaurant and the food,” says Frida Ronge.